Tangent Corner Fabric Sofa Suite is a symmetrical corner sofa with a fixed back. 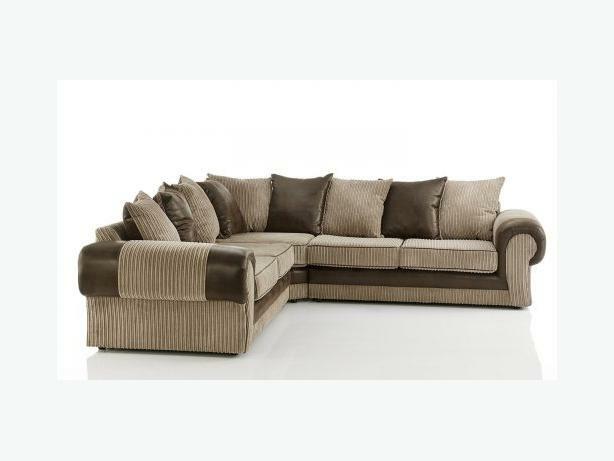 This five seater corner sofa has large seats with simple and classic design. Tangent sofa is made with strong wooden frame for long term support and thick luxury seating & back cushions made with quality foam and fibre fillings. The sofa is upholstered in hard wearing fabric which makes it durable. The Tangent corner sofa is available in Grey and Brown colours which works with most living room interiors.